The purple stars shine in this Galaxy! Daisies stand out while stargazer lily rises above into the swirling strands of bear grass. 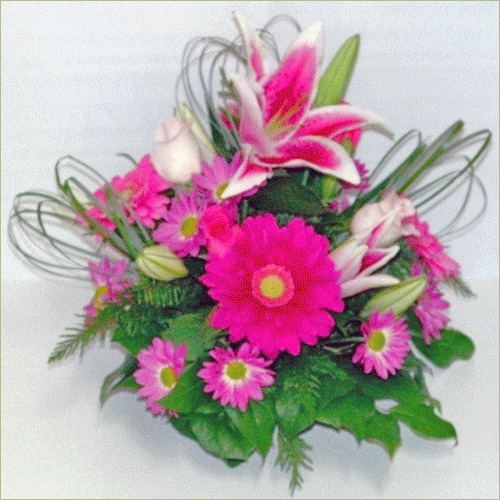 Roses and gerbera daisies, complete this perfection.